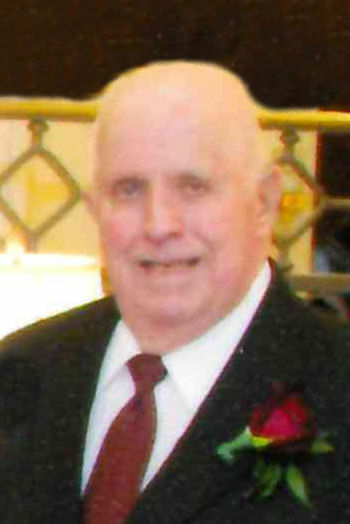 James Lee “Jim” Harris, 100, of Shiloh, IL, formerly of Fairview Heights, IL, born August 8, 1918, in St. Louis, MO, passed away on Monday, August 20, 2018, at Cedarhurst of Shiloh, surrounded by his family. Jim was a devoted husband, and a loving father, grandfather and great-grandfather, who cherished his family. 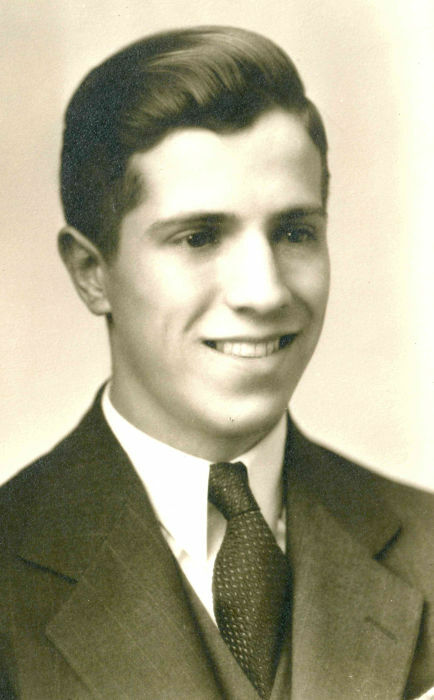 Jim was a proud graduate of East St. Louis Senior High School, East St. Louis, IL, and was a longtime member of St. Albert the Great Catholic Church, Fairview Heights, IL. Jim enlisted in the United States Coast Guard on January 3, 1942, just weeks after the attack on Pearl Harbor, and was honorably discharged on June 21, 1946 following the end of World War II. He served as a Gunner’s Mate, First Class aboard the USS Cavalier, which saw significant action in the Pacific Theater. 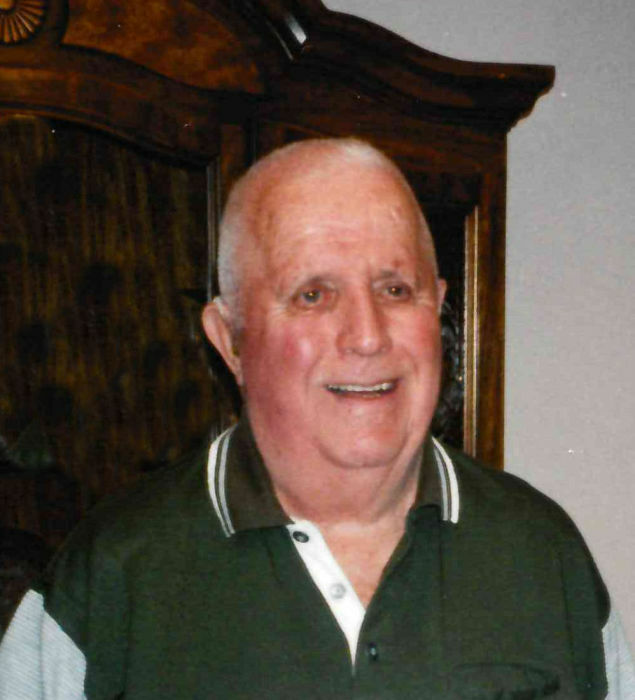 Jim worked at the National Stockyards in East St. Louis, IL throughout his entire life, except for his military service, and was an owner/partner of the National Livestock Commission Company, where he worked until his retirement in 1996, at the age of 78. He was preceded in death by his loving wife of 60 years, Marguerite E. “Margie” (nee Haggerty) Harris, whom he married on August 9, 1952; his parents, Curtis and Pearl (nee Simonin) Harris; two brothers, Robert Harris and Francis Harris; two sisters, Margie Emerson and Shirley Wagner; and a granddaughter, Melissa Reeb. Surviving are his children, Stephen (Karen) Harris of Collinsville, IL, David (Tina) Harris of Millstadt, IL, Jacqueline (David) Buesking of Fairview Heights, IL, Elizabeth (Danny) Reeb of Fairview Heights, IL, and Mark (Audrey) Harris of Columbia, IL; grandchildren Shannon Murphy, Jennifer Pickerell, Jason Hamrick, Joshua Harris, Tara Hilmes, Bryan Harris, Jamee Schroeder, David Moehle, Danny Reeb, James Moehle, Kristen Schmidt, Charles Moyer III, Joshua Moyer and Phillip Reeb; great-grandchildren Trevor and Kaitlyn Pickerell, Colton Harris, Luke and Olivia Hilmes, Elijah, Samuel and Silas Schroeder, Jayda and Jett Wikgren, Caroline Schmidt, Sophia and Emelia Hamrick, and soon-to-be born, Charles Hugh Moyer; brother-in-law Neal Emerson of Maryville, IL; brother-in-law and sister-in-law Thomas and Marilyn Haggerty of St. Louis, MO; sister-in-law Gloria Haggerty of Collinsville, IL, and numerous nieces and nephews. The Harris family would like to extend special thanks to Jim’s caregivers for their kind and loving care throughout the last two years, especially the staff of Cedarhurst of Shiloh, and the staff of Hospice of Southern Illinois. In lieu of flowers, the family requests that donations be made to the Alzheimer’s Association in memory of Jim and Margie Harris. Visitation: Friends may call from 4:00 p.m. to 8:00 p.m. on Thursday, August 23, 2018, at Kassly Mortuary, Fairview Heights, Ill.
Visitation: Friends may call from 9:00 a.m. to 10:00 a.m. on Friday, August 24, 2018, at Holy Trinity Catholic Church, Fairview Heights, IL. Services: Mass of Christian Burial will be celebrated at 10:00 a.m. Friday, August 24, 2018, at Holy Trinity Catholic Church, Fairview Heights, IL, with Fr. Jim Nall officiating. Interment will be at Lake View Memorial Gardens, Fairview Heights, IL.